This decorative cast iron door stop is a great way to have your door open with out it slamming shut. A beautiful cat shape design which can also be used as a decorative item which can also be hung up on the wall when not in use. 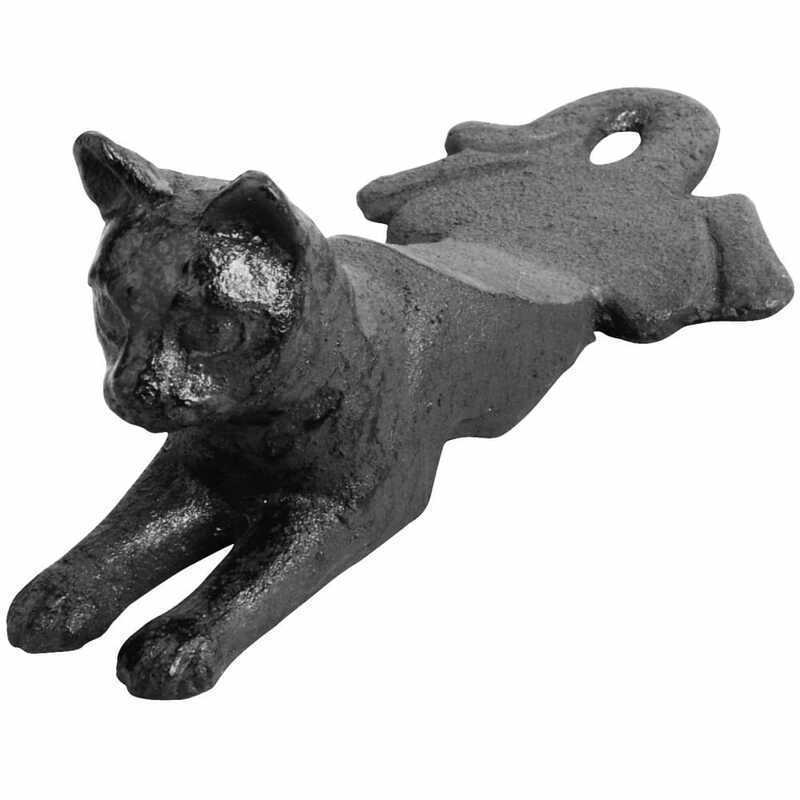 This is a great cast iron crafted doorstop which works very well. I love it!